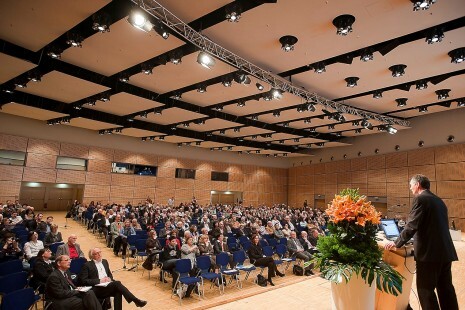 Essen is an important decision-making center of the German economy. With RWE, thyssenkrupp and E.ON, three DAX groups and four of MDAX companies, innogy, Evonik, HOCHTIEF and Brenntag, have their headquarters in Essen. In addition, ALDI Nord, Schenker, NOWEDA, DEICHMANN, STEAG, Karstadt, MEDION and FUNKE MEDIENGRUPPE are other companies that are among the major players both nationally and internationally. Globally, these corporations employ well over half a million people and generate sales totaling over € 230 billion. In addition, the Essen-based industry is steadily expanding further future industries and new lead markets, including in the areas of health, energy technology, information and communications technology, and resource efficiency. Numerous important associations and institutions in the Ruhr region make the city the administrative center of the Ruhr Metropolis. But Essen is not just a business town, but also a city of science. Six universities, more than 30,000 students and diverse research and educational institutions as well as important foundations speak for themselves. The "Science City Essen" initiative, an association of universities, research institutes and other accompanying institutions and actors from business, foundations, education, politics and city administration, ensures further networking and consolidation.